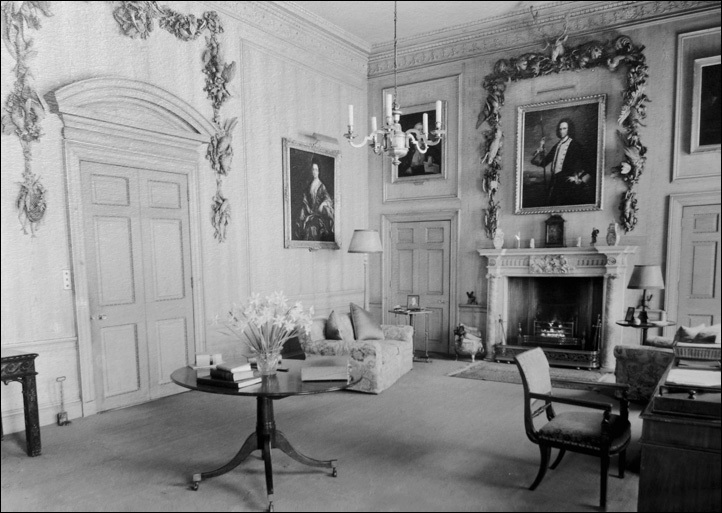 In 2015, all that remained of Lord Allendale's Study was a bare room with its original early Georgian chimneypiece. 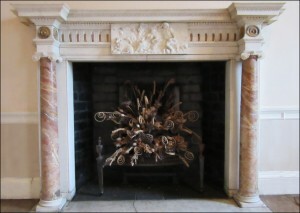 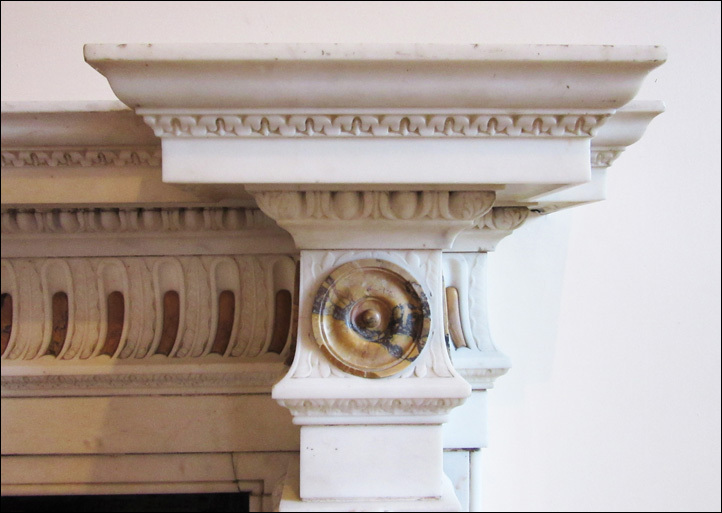 This fireplace - the oldest in the Mansion - is one of only four remaining. All others were removed by Viscount Allendale in 1948, when Bretton Hall was sold to the West Riding County Council. The photograph from The Bretton Book shows a picture of Lord Allendale's Study in 1938, with a remarkable Grinling Gibbons' wooden carving of game, fish and fruit over the doorway from the hallway. This carving is now in place at the Allendale home in Northumberland. 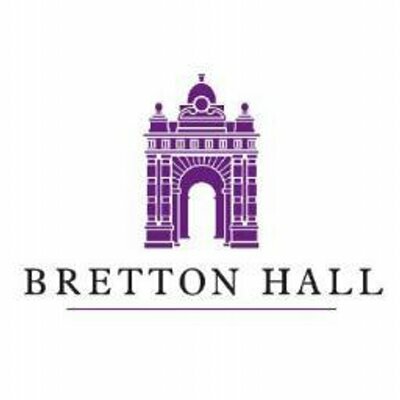 Image from The Bretton Book. 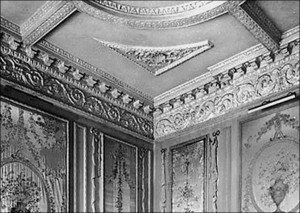 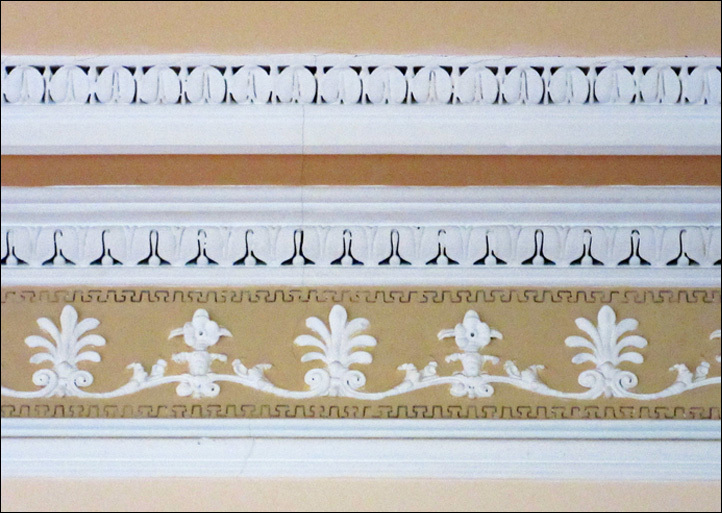 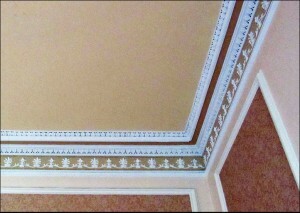 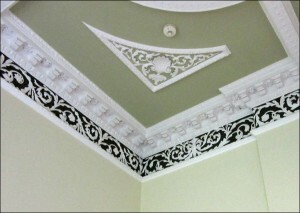 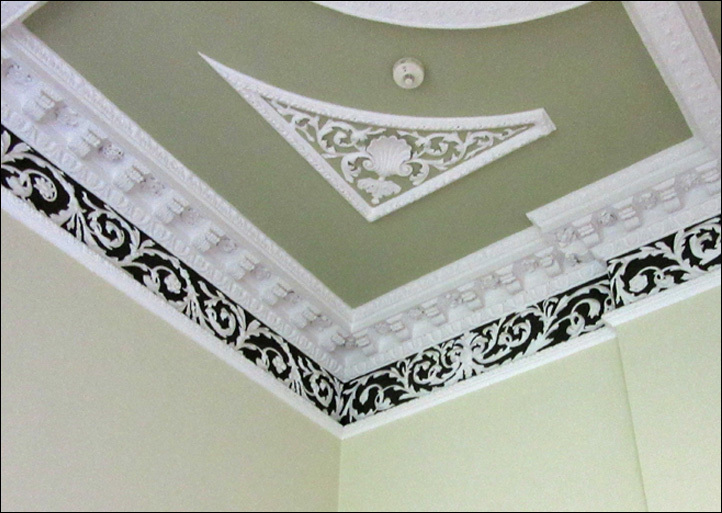 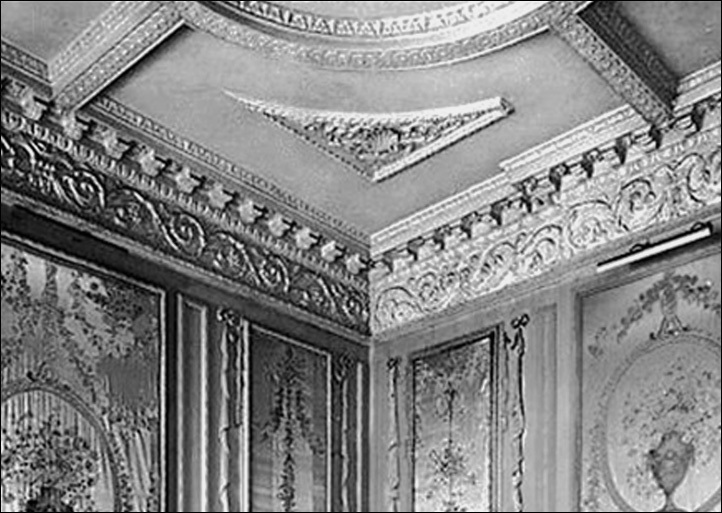 All that remains of Lady Allendale's original Boudoir, which adjoins Lord Allendale's Study to the south, is an enriched ceiling. 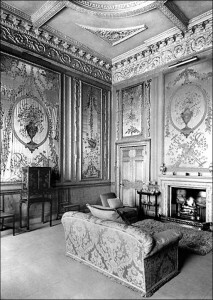 The image from The Bretton Book shows the boudoir in 1938, with wall panels of old French silk. 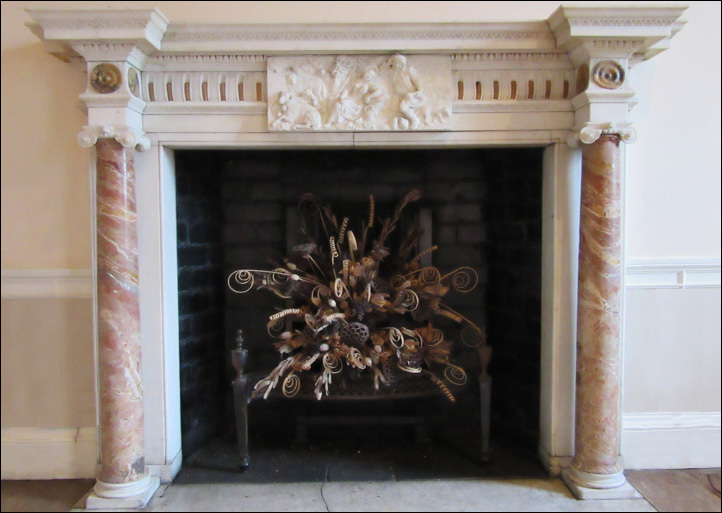 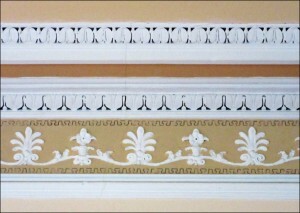 Together with the original fireplace, the wall hangings were transferred to Bywell Hall in 1948.